I haven't did any rubber stamping for at least around 15 years now. I have been kind of itching to do some again. So today I signed up for a "Card Chaos" class at Crafts Direct. My daughter Feather will be taking the class with me also. The class isn't until the 29th of January though. 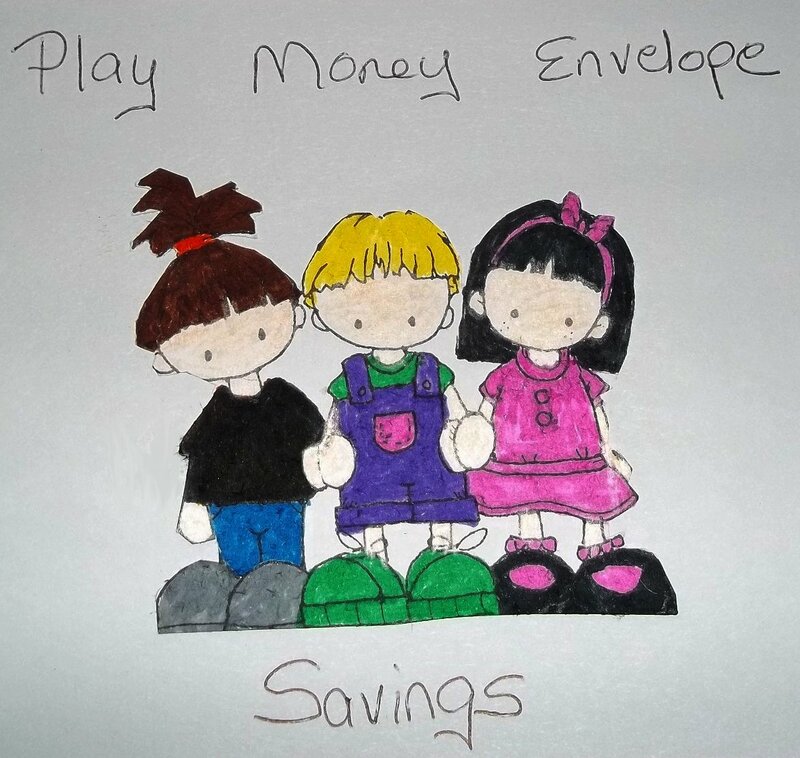 I decided to try my hand at doing some today...so I made a "play money savings envelope".